Cherie McDougald, left, and her brother Bill Frost retired with nearly 60 years of UC service between them. People who spend a significant portion of their time at work often refer to coworkers as their “work family.” For Bill Frost and Cherie McDougald, the University of California's Division of Agriculture and Natural Resources is a real family affair. 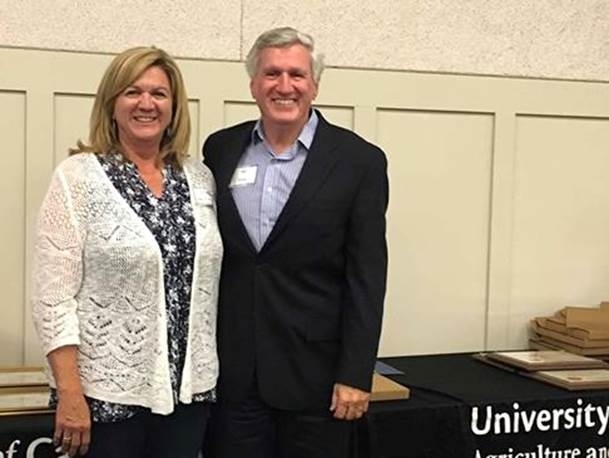 The siblings retired on July 1, with McDougald having logged 36 years in administration and Frost 22 years, the last four years as associate vice president. McDougald was director of the Business Operations Center at the UC Kearney Agricultural Research and Extension Center in Parlier. Before joining UC ANR, she worked for UC Davis School of Veterinary Medicine for nine years. Over the 26 years she worked for UC ANR, McDougald built a reputation for deftly navigating UC policies to help county-based UC Cooperative Extension employees get things done properly and efficiently. “A veteran of many ANR organizational re-engineering and structural reorganizations, Cherie is my go-to person on the Administrative Review Council, working through complex business operations issues and implementing solutions,” said Tu Tran, UC ANR associate vice president for business operations. 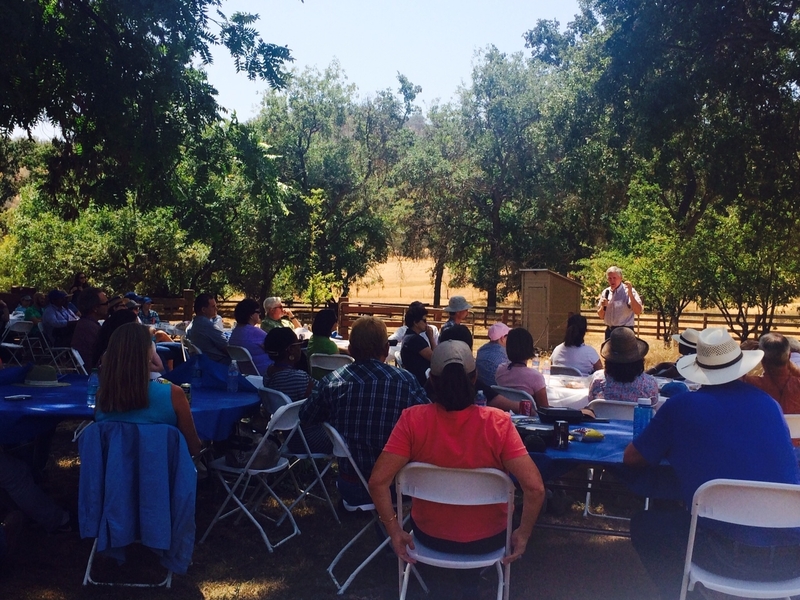 Frost joined UC ANR in 1994 as a UC Cooperative Extension advisor in natural resources working in El Dorado, Amador and Calaveras counties, where he applied his expertise to issues relating to agriculture or natural resources in the central Sierra Nevada. Bill Frost served in 10 different ANR leadership positions, retiring as associate vice president. “Bill is a good listener, but also a determined leader to finish the job,” said Doug Leisz, an El Dorado wine grape grower who has known Frost for 25 years. Through his research and work with ranchers, Frost improved rangeland management and resource monitoring on the watersheds of the East Bay Municipal Utilities District lands, National Forest System lands, as well as on many private ranches. In leadership positions for UC ANR, Frost also provided guidance for the future. He has served in 10 different roles for UC Agriculture and Natural Resources over his 22 years. Bill Frost, who joined ANR as a Cooperative Extension advisor in the Central Sierra, speaking to a group of recently hired UC Cooperative Extension academics at Chrisman Ranch. “As associate vice president, Bill has been instrumental in transforming ANR's processes to include more stakeholder input for selecting research projects to fund and for prioritizing Cooperative Extension positions for recruitment,” said Glenda Humiston, UC vice president for agriculture and natural resources. Frost earned his doctorate in range management from the University of Arizona and bachelor's and master's degrees in range science from UC Davis. 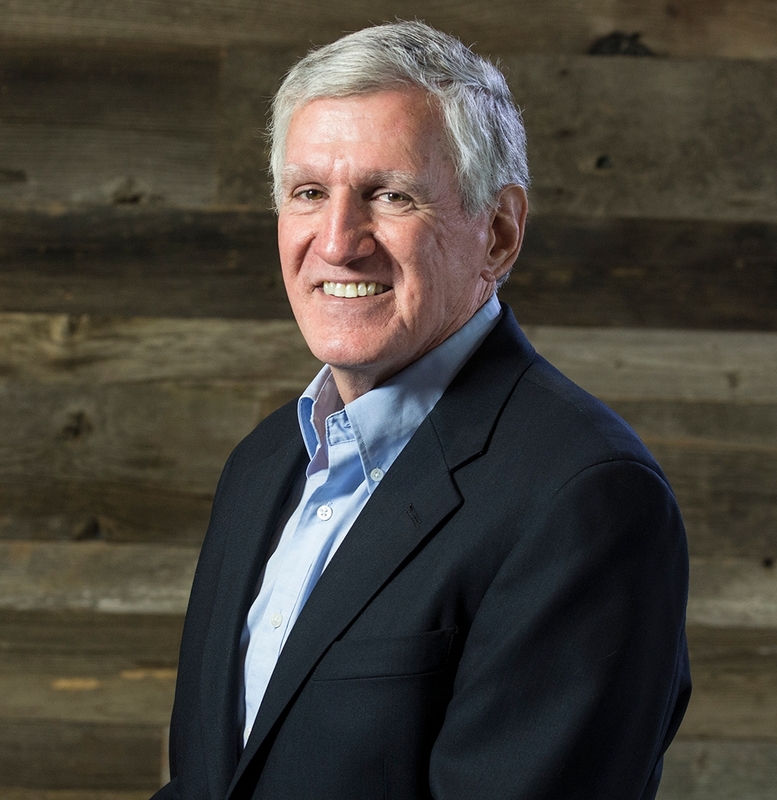 Before joining the University of California, he was a University of Arizona Cooperative Extension agent and director in Gila County from 1991 to 1994. Prior to moving to Arizona, he worked for the California Agricultural Technology Institute at California State University, Fresno, as a postdoctoral research fellow, research associate and a rangeland resources specialist and director of the San Joaquin Experimental Range. Wendy Powers, former Michigan State University professor, was named associate vice president on June 20.